That being said, one of the most important aspects one should consider is making the most out of is the capabilities of leading social media channels. The society has come to a point where anyone and everyone cannot go a single day without using their social media channels. That being said, it would be foolish to think that social media marketing is not as important as digital marketing and its tools. Digital marketing and social media, when used in the most efficient ways, can help a business reach its goals in minimal time delay irrespective of its size and age. Social media channels are a great way you can improve the brand awareness of your business in the minds of your target audience. In case you own a small business, you need to maintain a commendable online presence and make sure that the reputation of your company online is such that people look up to the same as a trustworthy brand. As per statistics, 46% of prospective customers partner up with a new business when the latter has made the efficient use of social media tools to better position itself in the online market. When you are operating a small business which is still in its initial years, it is obvious that you will have a limited amount of resources for your advertisement and marketing campaigns. Leading digital marketing companies in Bangalore advise on using the free yet most powerful digital marketing tool ever – social media, to do just that. Social media is the perfect tool when you are looking for making the most out of organic traffic from your advertisement and marketing campaigns. Be sure to incorporate the same in your digital marketing strategy today. It is all about online presence and position of a brand in the Search Engine Result Pages (SERPs) when it is working towards presenting itself as a trustworthy name in the market. One of the best ways to boost your ranks in the SERP of a leading Search Engine is to make your brand, website, and content SEO backed. To do that, you need to publish keyword packed content that is relevant to your TA on all leading Social Media channels, on a regular basis for desired results. Social Media is an indispensable tool of digital marketing. It is a cost-efficient tool that small businesses can make the most out of without spending a single dime. 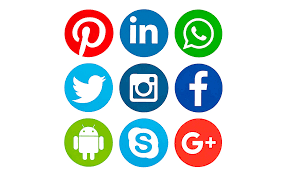 Social Media helps a business to better target its audience, get real-time feedback thereby reaching the position it has hoped to reach in minimal time delay.